Search Engine Optimisation (SEO) is a bit like the government’s Brexit policy – everyone knows it is important, but most of us are a little unsure as to exactly what it is. Although other search engines exist, we’ll refer primarily to Google as that’s the most important one. SEO is ultimately about getting your site’s content nearer the top of the ‘organic’ search results page, and for more search queries. More prominent/visible results equals more traffic to your site, equals more engagement and more conversions into donations, fundraising, email signups etc. Because Google doesn’t publicise exactly how its search algorithms work, and they’re always being updated, SEO remains as much as an art as a science. But these tips are well established good-practice ones that will benefit you long into the future. What’s different about charity website SEO? SEO rules work the same regardless of what industry you’re in. But SEO has traditionally been less of a concern to charities because its success is harder to measure for them. An online shop has an obvious bottom-line; SEO is important because it can help drive more sales, which is ultimately the whole point of the site. It’s a different story for charities though. This is something I talk more about in my article about what is the point of your charity website?. 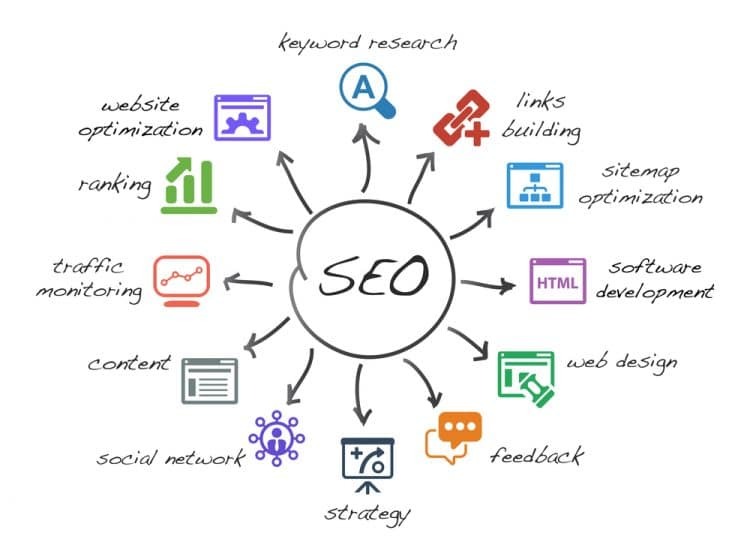 SEO can broadly be split into two strands; on-site and off-site SEO. You could write whole books about either one but here I will concentrate on the factors that are most actionable for charity website owners: on-site:content and off-site:link-building. All other things being equal, a site that is fast, accessible, mobile-friendly, uses an SSL security certificate, has semantic HTML markup that produces regular, high quality content – will rank better on Google than a site without those things. A lot of these factors like semantic markup, XML sitemaps, Schema tags, site speed, https, mobile-friendly etc. are the domain of your web developer. There’s not much you can do about them other than to trust that they’re properly baked into your site. So let’s concentrate on the big on-site factor that you’re responsible for…. Your site’s content is arguably the biggest SEO ranking factor, and it’s something that you can control. Rather than having an inward-looking charity-centric perspective (‘what do we want to tell the world about us’), it’s important to think and to create your content from more of an audience-centric perspective ( i.e.‘what do people want to know?, what are they interested in? What content can we create that answers these questions and engages potential supporters?). Why don’t more charities create SEO-friendly content? Many commercially driven websites will create content purely for SEO purposes – it’s an important aspect of ‘inbound marketing’, which is all the rage these days. But most charities don’t do it. Perhaps because it doesn’t easily fit into most charity marketing job descriptions, or they don’t have the time/resources to invest in it, or they don’t see the value in it, or maybe that they don’t even know that it’s a thing. So there’s an opportunity there. Companies have budgets and copywriters to do it – they can see it’s an investment worth making. But they’re also writing blog pieces about dull stuff like the pros and cons of different types of garage flooring materials. Your work is life-changing. It shouldn’t be hard to make it sound interesting! This is a topic that deserves another mini-book in itself. I won’t go into it here but you can get a good overview of keyword research here. Pay attention in particular to ‘the long tail’ as that’s particularly relevant to small charities who are never going to get on the front page of Google for search terms like ‘cancer charity’ or ‘children’s charity’. Doing this research is an important step, especially as it gets you looking at things from an audience-centric rather than charity-centric perspective. What questions do people have that we are in a good or unique position to answer? Think in terms of the what/where/how/why of what you know – e.g. ‘what is ocean pollution?’ ‘Where can I recycle furniture in Bradford?’, ‘How do I explain my cancer to my young children?’, ‘Why are there so many street children in Africa?’. If you can create content that directly addresses these questions then that’s a great start and it will put you ahead of the pack. Ideally you want to be creating regular, good quality content – but that can involve quite a time commitment. If I were you I’d create a few new pages first, share them on your social media, link to them well from within your site, and ideally try to set up a few quality inbound links to them (see later section). Then have a look at your Google Analytics to see if the ‘organic search’ traffic to your site and to those pages in particular is increasing over time. Remember though, SEO is a long game – changes manifest themselves as trends that accumulate over weeks and months rather than in overnight success. Bonus tip: If you’ve got a Google Grant then it’s a good idea to set up some campaigns and ads that specifically target this new page. Where on your site should this content go? If you’ve got a blog then that might be a good place for the new content, or it might be that a ‘static’ page works better. Either way, don’t let the structure of your site be an impediment to creating this audience-centric content. Create the content and find a place for it to live on your site, rather than not bother because you can’t see which section of your navigation it might fit under. You could try out some Buzzfeed style content ideas – I’m not talking about dumbing down or making light of your work, but trying to present it in an accessible, engaging way. There’s reasons why the ‘10 tips for doing this…’, ‘5 reasons for doing that...’ etc. formats work well online, so maybe try out something similar, or as an FAQ page. If it’s just a big page of paragraph text then your audience isn’t likely to find it very interesting, and if they don’t then neither will Google. ‘The first rule of fight club is you do not talk about fight club. 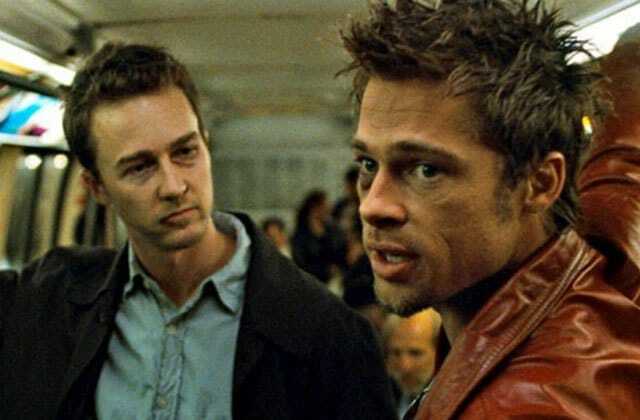 The second rule of fight club is you do not talk about fight club’. Brad Pitt aside, over-stuffing your content with your keywords won’t boost your SEO. It’s just annoying. Don’t worry too much about measuring your ‘keyword density’. The general rule of thumb these days is to ‘write for humans, optimise for spiders’ (the Google ones that crawl the web). Google is looking for natural language and is pretty adept at recognising it. Having said that, if you want to get more traction around your work with child soldiers then it’s better to actually use the term ‘child soldiers’ rather than the sector terminology ‘children formerly associated with fighting forces’ – unless you know that your audience is using the same terminology. I won’t go into them here, but in your CMS you can usually set the Meta Title and Meta Description for each page, and it’s well worth creating custom ones for your most important pages. If, in the Google search results page ( and therefore also the title that shows in the tab of your browser), your homepage has the title ‘Home’ in it – then that’s a quick-win SEO fix you can rectify in a matter of minutes to make it more descriptive. Find out more about Meta Titles and Descriptions here. One of the signals that Google uses to determine the quality/ranking of your site and its individual pages is the number of other sites that contain links to it. The more links, the more ‘authoritative’ your site presumably is, though arguably these days the quality is more important than the quantity. There are paid-for tools that can measure the ‘quality’ of these external sites, but you don’t really need them. You can recognise a good quality, authoritative site when you see one – BBC, NHS sites, Guardian etc. The exception here is the big social media sites – although social signals are an increasingly important element of SEO, they’re not any use for link-building so you can’t boost your SEO by posting loads of tweets with your website url in. The same generally goes for posting comments on other sites – they don’t contain any ‘SEO juice’ either. Where else on the internet would it make sense to see a link to a page on your site? Think in terms of problem:solution. Are there local council, NHS pages, other charity websites, local parents Facebook Groups etc where people might already be – and it would add value to them to be able to see that your work is particularly relevant to them right there and then? As an example – look for pages/sites that talk about the issue you’re tackling. Be it a health condition, social problem or a local community issue. Email the site editor and ask if they’ll put your site’s hyperlink on a relevant page – only where it’s genuinely adding value to their audience. It’s better if you can send them the exact link wording you want them to use (see below). You could ask them to link to your homepage, but it would be ideal if you create some bespoke content for them that’s directly relevant to their audience. This is where I’d circle back to the section earlier about creating audience-focused content. The other option is to ask if you can write an article / page for their site, especially if it’s a high-traffic one or directly relevant to your particular niche. I know it’s hard to find the time to create content for your own site, let alone someone else’s, but it’s a time-honoured SEO technique. The text of the link is important. It tells Google what your page is about, so it’s important to include your keywords in it. So for example, it’s better for my SEO if I link here to my charity web design rather than use a generic text link that says click here to find out more. There’s two benefits of link-building. Firstly it increases your SEO ranking for the pages that are being linked to because it increases their ‘authority’ in Google’s eyes. Secondly it brings an increase in targeted traffic from users clicking on those links. And as I say in my blog post about who’s visiting charity sites, it can be hard to know why many people are visiting so here’s an opportunity to proactively generate visitors with the right intention. Social media plays a role in your charity site’s SEO. A fairly small role at present – but generally the more your content gets shared on Facebook/Twitter etc – the more Google will consider that content to be relevant/authoritative. I won’t go into social media strategy or tips here as they’re extensively covered elsewhere. There’s so much advice on SEO available on the internet that it can seem a bit overwhelming. I’d recommend this Periodic Table of SEO Success Factors as a handy guide and cheat-sheet to refer to.  « What’s the point of your charity website? How can you tell if it’s any good?